Updated to latest microprocessor technology for precision time and temperature control. Integrated USB port for recording or printing cycle data. Instrument basket easily slides in and out of chamber. Hinged door folds down and comes equipped with door locking mechanism. 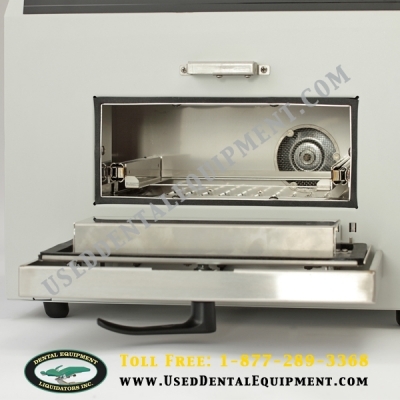 Instrument basket can be safely removed and transported with newly designed tool. Taller opening for easier access to heating chamber. High temperature door gasket provides tight seal preventing heat loss. 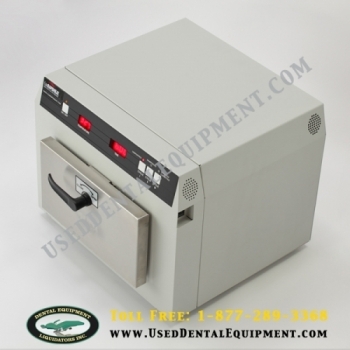 The COX RAPID DRY HEAT STERILIZER utilizes dry heat rather than steam and pressure to sterilize. or cause them to rust, thus extending the life of every costly instrument. No need to purchase supplies such as distilled water, rust inhibitors, or chemical solutions. The superior speed of the COX STERILIZER gets instruments turned around to you quicker, reducing the amount of instrument investment.